NSU Sportmax. 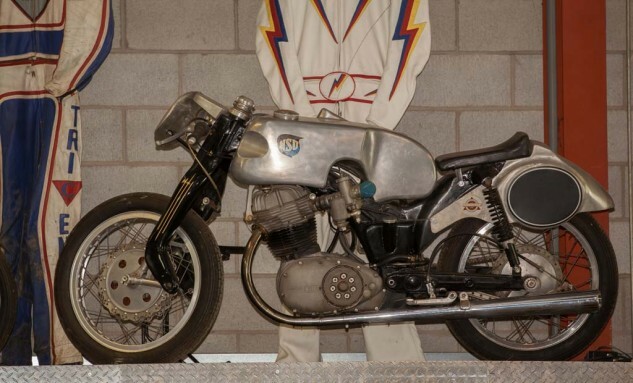 250 cc single cylinder German road Racer. Mid 1950’s. Won the 250 cc world title in 1955, the first year they were introduced. When the buyer (not Mecum) ponies up the rest of the $55,000 he agreed to pay, this bike will be gone.